I found these last month by Creighton Court (off Northcourt Avenue). I think it could be one or several species of honey fungus (Armillaria spp. ), here growing saprobically on a tree stump. There are seven species of Armillaria in the UK, the most common species in gardens being A. mellea and A. gallica. Armillaria is a genus of fungi that attack and kill the roots of many woody and perennial plants. In fact, it is the most destructive fungal disease in UK gardens! 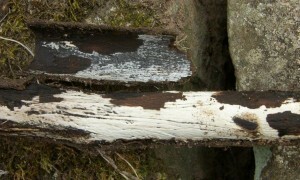 One characteristic symptom of honey fungus is a thin, white-ish layer of fungal tissue (mycelium hyphae) between the bark and wood, usually at ground level. The fungus spreads underground by direct contact between the roots of infected and healthy plants. 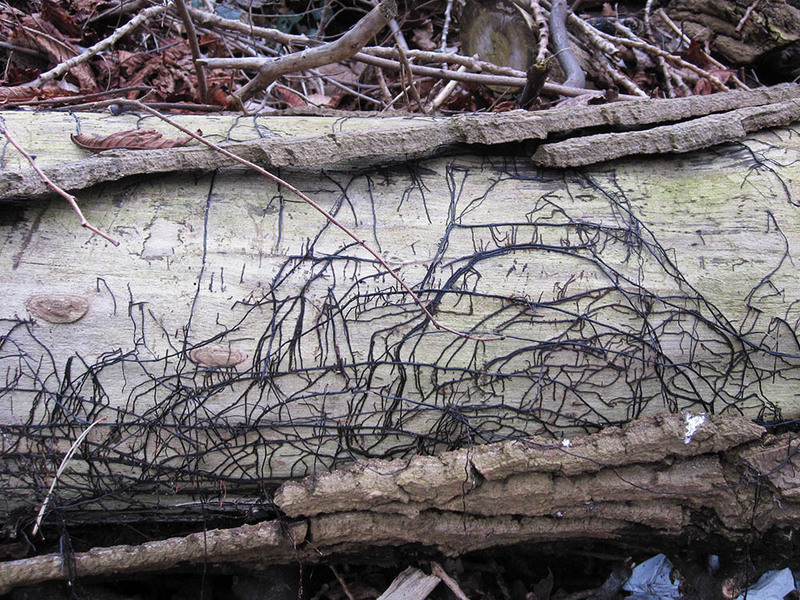 In addition, black, root-like structures called rhizomorphs (often known as “bootlaces“), can spread from infected roots through soil. An ability to proliferate over long distances makes honey fungus a very destructive pathogen, often attacking plants up to 30m (100ft) away from the source of infection! This year has been (and indeed continues to be!) particularly good for fungi – so happy hunting! This entry was posted in Fungi, Plant Pathology Research Group and tagged Armillaria, bootlaces, fungal disease, fungi, fungus, honey, Identification, pathogen, Waheed Arshad. Bookmark the permalink.